It’s a challenging condition, but a heart failure prognosis is more encouraging now than ever before. 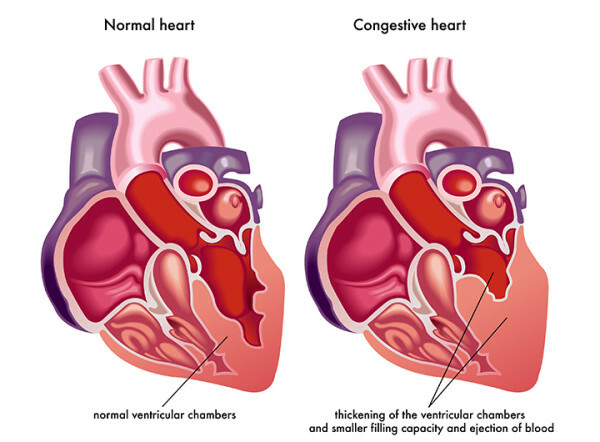 The difference between a healthy heart and a congestive heart. You may have heard the phrase “congestive heart failure” used interchangeably with “heart failure.” That’s because the symptoms of heart failure usually involve congestion throughout the body. Less blood being constantly circulated means less excess fluid being filtered by the kidneys into urine. That additional fluid is known as congestion, and it can start to collect in the lungs and other tissues of the body. As you might imagine, heart failure symptoms can be discouraging. However, medications and cardiac devices are improving, so these days a heart failure prognosis is going to be more encouraging than it was years ago. But what is congestive heart failure? It certainly sounds like a condition in which the heart fails to work. But in reality, heart failure simply means the heart has weakened and can’t pump as efficiently as it once did. The result is that blood doesn’t circulate as vigorously as it should throughout the organs, tissue and other parts of the body. It can also mean that proteins and other substances can build up in the blood. These can damage the heart and other organs. A weakened heart also tries to work harder to meet the body’s demand for oxygenated blood, and all that additional work can make the heart even weaker. While treatment has improved in recent years, heart failure symptoms for people with the condition can be grim. About 5 million people in the U.S. have heart failure, according to the Centers for Disease Control, and about half of the people with heart failure die within five years of diagnosis. But you should also look out for swelling in the legs, feet, and even around the eyes. This kind of swelling is called edema, and it’s serious. If swelling increases—this is often noticed by weighing yourself daily—it’s usually a sign your condition is worsening and immediate treatment is needed to help improve your heart failure prognosis. To differentiate between congestive heart failure and another cause of swelling, your doctor will run several tests. It starts with a standard physical exam. Your doctor should listen to your heart and lungs with a stethoscope to pick up indications of an irregular heartbeat or congestion in the lungs. A chest X-ray can also provide a doctor a picture of what’s going on in the heart and lungs. If heart failure is suspected, a blood test will likely be ordered to check for certain indicators, such as the chemical N-terminal pro-B-type natriuretic peptide. It’s a substance produced by the heart when it is being overworked. Another helpful screening is an echocardiogram, which uses sound waves to create a picture of the heart’s shape, size, and the functioning of its valves. An echocardiogram can be particularly helpful in discerning between systolic and diastolic heart failure. The test also helps your doctor measure your ejection fraction, which is the percentage of blood from the left ventricle that is actually pumped out of the heart with each contraction. A diminishing ejection fraction usually indicates a worsening heart failure prognosis. But keeping up with your doctor appointments and following your physician’s advice on medications and other treatments can help you live longer and with a greater quality of life. Originally posted in April 2016 and updated. cardiac diet, chest discomfort, congestive heart failure, diastolic heart failure, diet, echocardiogram, edema, excess fluid, health, health news, heart attack, heart attack symptoms, heart attacks, heart failure, heart failure prognosis, heart failure symptoms, heart palpitations symptoms, heart problem, heart problem symptoms, lower triglycerides, lower triglycerides naturally, nutrients, Triglycerides, university health news, what causes heart attacks, what is congestive heart failure. 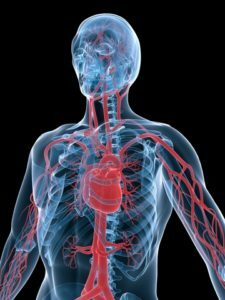 I thought you might be interested in this article on https://universityhealthnews.com: What Is Congestive Heart Failure?